I wanted to start this topic. This CD is one of my all time favorites. I really like it, and one of the main reasons why is that the rest of my family likes it as well. I really enjoy "Cold Fire" and "Nobody's Hero". Last edited by FerrariF1 on Tue Jul 13, 2010 1:37 pm, edited 1 time in total. I LOVE THIS ALBUM! It is my all time favorite! "Cold Fire" is my favoritest Rush song as well. I got in line at 4:00 am for tickets to this one while I was 8 months pregnant with my oldest daughter. I had folks waiting on me hand and foot getting me drinks, making me sit, it was so funny! At the concert, in The Pond in Anaheim, CA, I told the guys in front of me, "When they play Cold Fire, don't turn around and stare cuz I'll be spazzing." Well, they did and I was. Sir Myghin wrote: Cold Fire rules!!! I love this one too!! "Leave That Thing Alone" is my favoritest instrumental of theirs, and every song on this album is great! My Counterpart.. my foolish heart.. I've been listening to Vapor Trails for the past week or so, but I think I'll switch to Counterparts this afternoon. Last edited by FerrariF1 on Tue Jul 13, 2010 1:36 pm, edited 1 time in total. Counterparts is one of Rush' highlights. It should have had a warmer cover though.. like Hold Your Fire..
Sympho wrote: Counterparts is one of Rush' highlights. Why another cover? It's great. Not as great as "Signals" or "Moving Pictures", but great. Counterparts, a fantastic album. My favorites: the first three songs, between sun and moon, double agent. Was gonna start a thread on this album...all ive been listening to recently. Nobody's Hero is most likely my favorite song, not just by Rush but overall. Cold Fire, Double Agent and Alien Shore, terrific stuff. Hmm, glad to see that I'm not alone in loving counterparts. 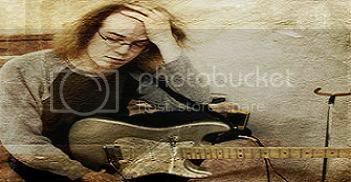 There's a couple of guys on another Rush forum (actually, I sometimes suspect that its just one using two names as their posts are so similar) who have got the impression that Rush have done nothing really wothwhile since Hemispheres and try to make out that anyone who disagrees is mentally defective. Counterparts is one of my favourite albums and, to my mind, features Neil at his lyrical best. Slaine mac Roth wrote: Hmm, glad to see that I'm not alone in loving counterparts. There's a couple of guys on another Rush forum (actually, I sometimes suspect that its just one using two names as their posts are so similar) who have got the impression that Rush have done nothing really wothwhile since Hemispheres and try to make out that anyone who disagrees is mentally defective. Counterparts is one of my favourite albums and, to my mind, features Neil at his lyrical best. Saying that, time to talk about Counterparts...I am afraid I do not like this album, and it remains at the bottom of my Rush "pile". Why? well, to begin with, I personally do not like the more "personal" approach in the lyrics, and feel that he has "dumbed down" a little. Some songs are just plain clumsy (Nobodys Hero springs to mind) and the whole album for me, has a disappointingly AOR feel to it. A lot of the songs would not be out of place in a Bon Jovi concert, and that is something I do not want to hear from Rush...Saying that, I can understand why a lot of people like it, as it does remain one of their more "accessible" albums and is probably more "radio friendly" than others.